[UPDATE, March 4] Live shots of the Giulia, Stelvio Alfa Romeo Racing Edition from the 2019 Geneva Motor Show have been inserted in the gallery, below. For now, we can at least take comfort from knowing the other Alfa Romeo models that will be in Geneva beginning March 5. Celebrating the company’s return to Formula 1, the Stelvio Quadrifoglio and Giulia Quadrifoglio are receiving the Alfa Romeo Racing limited edition treatment with an exterior finish mimicking the F1 livery used by the race cars of Kimi Raikkonen and Antonio Giovinazzi. The two top-tier Quadrifoglio models will be wearing a similar Trofeo White and Competizione Red two-tone paint finish as the C38 Formula 1 car, along with a few new styling tweaks to further separate them from the regular versions. These include the Sparco body-hugging seats with red stitching and a carbon shell, a Mopar-branded transmission knob, and a combination of leather, Alcantara and carbon fiber for the steering wheel. The Giulia and Stelvio will also come bundled with a bespoke “Alfa Romeo Racing” badge on the inside. There aren’t any engine upgrades, so the Giulia Quadrifoglio and Stelvio Quadrifoglio Alfa Romeo Racing editions will soldier on with the same twin-turbo 2.9-liter V6 developing 505 horsepower and 443 pound-feet (600 Newton-meters) of torque. The brand is a star of the event with a display area pivoting around beauty, performance and exclusivity. Connectivity and character on every model, thanks to the Mopar® accessories to enhance the distinctive features of Giulietta, Giulia and Stelvio. The focus is on the Giulia Quadrifoglio and Stelvio Quadrifoglio "Alfa Romeo Racing" limited editions, which celebrate Alfa Romeo's legendary racing history and the entry of a new Italian driver onto the Formula 1 scene: Antonio Giovinazzi joins the "Alfa Romeo Racing" team with World Champion Kimi Räikkönen. 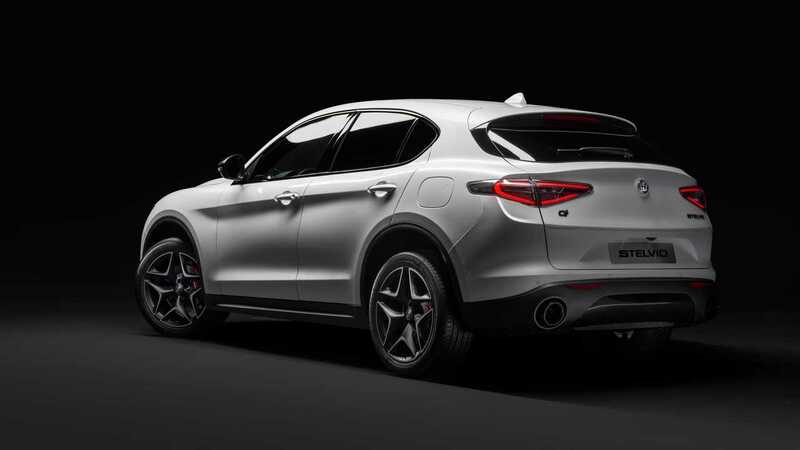 Unique contents and performance: this is Alfa Romeo Stelvio Ti, the trim that proudly bears the historic "Turismo Internazionale" acronym, only ever awarded to the most lavishly equipped, most high-tech, most aggressive versions. The spotlights are also on the New Alfa Romeo Giulietta MY19, which has evolved, while maintaining all its unmistakable style and strongly sporty character. More exciting news will be revealed during the press conference on Tuesday, March 5. Alfa Romeo cars have been delighting motorists for over a century with their beauty, Italian style, which evokes all the performance, technology and driving pleasure just waiting to be unleashed at a turn of the ignition key. This year, visitors to the Geneva International Motor Show will clearly perceive that the brand has evolved even further, in many different directions. Nothing could have expressed the centrality of the most extreme performance to the Alfa Romeo DNA better than the brand's return to Formula 1, and in the 2019 season the team will be competing at motorsports' highest level under the "Alfa Romeo Racing" name, lining up an Italian driver, Antonio Giovinazzi, alongside Kimi Räikkönen, former 2007 world champion. 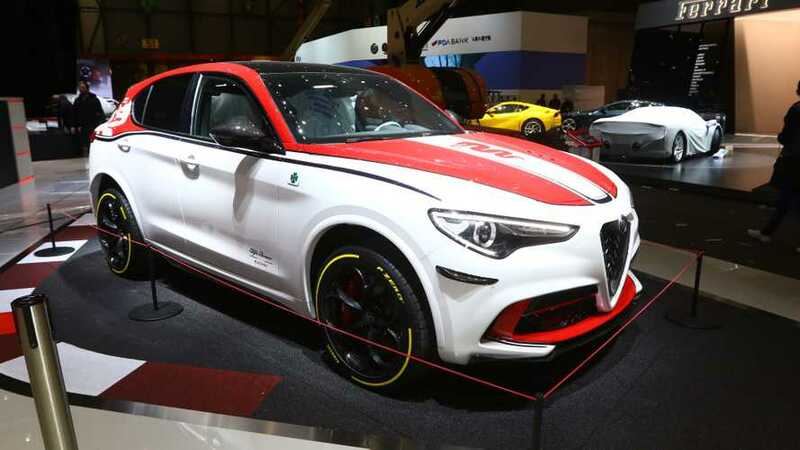 The Geneva stand will display the team's car, representing the unbreakable bond with the racetrack that underlies the Giulia Quadrifoglio and Stelvio Quadrifoglio "Alfa Romeo Racing" limited editions, with their own specific livery. Evolution, too, in the area of exclusiveness, with the return of the historic "Turismo Internazionale" name, awarded to Alfa Romeo Stelvio in the new Ti trim, representing the utmost in sportiness, next to Giulia Veloce Ti. The new Giulietta MY19 offers the market an even more tailored approach, with five trims and six accessory packs. Now, everyone will be able to express their personality through their car. On the stand, an elegant Giulietta Super with Visconti Green paintwork, and the sporty Giulietta Veloce. When it comes to customisations, the stand has the best, with a display of accessories signed by Mopar®, the brand dedicated to assistance, parts and customer care for FCA vehicles. To conclude, more important news for the future will be revealed during the press conference scheduled for Tuesday March 5. 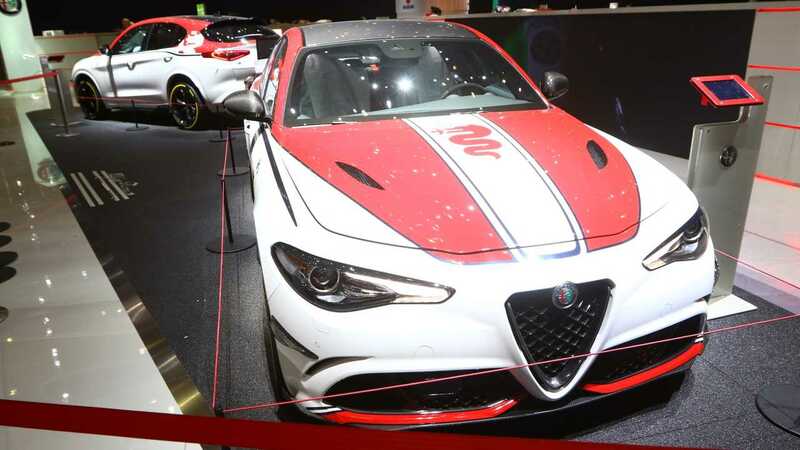 The true stars of the display area will undoubtedly be the Giulia Quadrifoglio and Stelvio Quadrifoglio "Alfa Romeo Racing" special series, in limited edition. The "Alfa Romeo Racing" limited edition celebrates Alfa Romeo's ever-deepening participation and involvement in the Formula 1 world championship, in partnership with Sauber. From this year, the team has acquired the new official name of "Alfa Romeo Racing", with the highly significant add-on: "since 1910". The best possible way of proudly asserting that the history of Alfa Romeo, founded on 24 June 1910, is firmly rooted in motorsports. Just one year after it was founded, Alfa Romeo made its debut in an official competition, winning the first Regularity Race in Modena. Since then, its sporting legend has been a string of victories and top-three finishes in many international championships, including Formula 1. The synergy between Sauber and Alfa Romeo, Title Sponsor since 2018, drove the progression of the team which ended the past season in the eighth place. Today, the technical and commercial bonds between the two partners are being consolidated even further under the same management and ownership. In Alfa Romeo Racing, the two partners share the same goal to achieve ambitious results confidently aiming at winning races. Visitors to the Geneva International Motor Show will be able to admire the team's car, to be driven by former world champion Kimi Räikkönen and young Italian driver Antonio Giovinazzi. The latter's presence is a source of national pride, because it is eight years since an Italian driver has regularly appeared in Formula 1. Next to the Formula 1 car, the Alfa Romeo Quadrifoglio "Alfa Romeo Racing" cars have exactly the same livery. This special edition with an exclusive paintwork, as a tribute to the Alfa Romeo Racing C38, is packed with unique stylistic details, such as Sparco racing seats with red stitching and carbon shell structure, the Mopar® automatic transmission knob with carbon insert, and the leather and Alcantara steering wheel, also with carbon inserts. A special celebratory badge with the Alfa Romeo Racing logo makes a statement inside. The excitement of the racetrack is expressed by technical details such as the exposed carbon fibre roof on the Giulia, the burnished alloy wheels (19" on the Giulia and 20" on the Stelvio), the red brake callipers. Furthermore, these special editions are equipped with exclusive Akrapovič titanium exhaust to emphasise the deep and bold sound of the 2.9 V6 Bi-Turbo engine, which was specifically tuned by Alfa Romeo engineers to increase power output. The adoption of titanium exhaust, braking system with carbon-ceramic discs and Sparco seats with carbon shell also makes the car much lighter than its normal production counterparts. Carbon is widely used, also on the mirror caps, the "V" insert in the front trefoil, the side skirt inserts, and the kick plates (on Giulia). 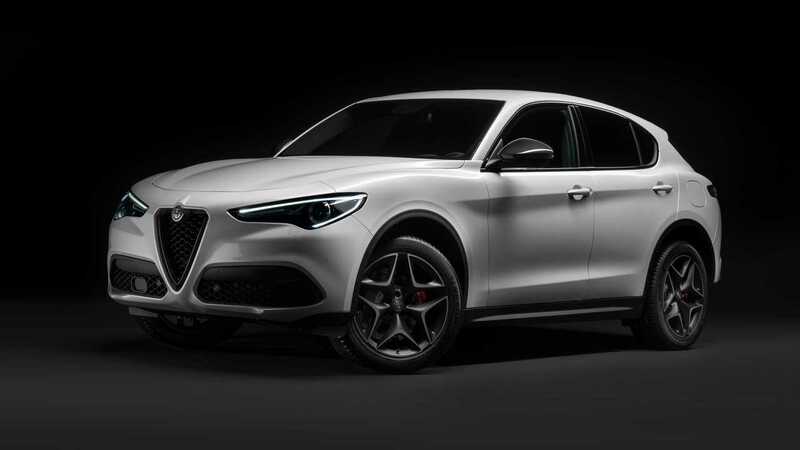 Both "Alfa Romeo Racing" cars are also complete with tinted windows, Adaptive Cruise Control, the Harman Kardon premium audio package, and the AlfaTM Connect 3D Nav by Mopar infotainment system with 8.8'' screen, Apple CarPlayTM, Android AutoTM and DAB radio. Under the skin is the epitome of technical design and performance characteristic of all models with the legendary Quadrifoglio four-leaf-clover badge that has been the symbol of Alfa Romeo since 1923. For example, on Stelvio, for the first time, the 2.9 V6 Bi-Turbo powerplant is combined with the innovative Q4 all-wheel drive system, with its guarantees of unbeatable performance, traction, driving pleasure and safety in all situations. Both cars also incorporate AlfaTM Chassis Domain Control, which coordinates all the on-board electronic systems, to deliver the best performance and the utmost driving pleasure at all times. Specifically, the system manages specific tasks and simultaneously assigns them to the various active systems, such as Q4 all-wheel drive (on Stelvio Quadrifoglio), AlfaTM Active Torque Vectoring system, AlfaTM Active Suspension, ESC and AlfaTM DNA Pro selector with Race function. The Torque Vectoring technology optimises Stelvio and Giulia's drive distribution and accentuates their sporting character. The two electronically controlled clutches in the Torque Vectoring system make it possible to control torque delivery to each wheel separately. This ensures the optimal transfer of power to the ground even when the car is pushed to its dynamic limits. So driving is safe and fun without ever running up against an invasive stability control system. The 8-speed ZF automatic transmission, supplied as standard, is specifically calibrated to shift in just 150 milliseconds in Race mode. The transmission has a lock-up clutch to give the driver a powerful, precise feeling of in-gear acceleration. Depending on the DNA mode set, new automatic transmission optimises fluidity, comfort and ease of driving in all environments, including around town, and further improves fuel efficiency and cuts CO2 emissions.So the excellence on offer is not just in performance: both the Alfa Romeo sports SUV and the sedan are also incredibly efficient in terms of emission and fuel efficiency, thanks also to their electronically controlled cylinder deactivation system and the sailing function, available in Advanced Efficiency driving mode. Last but not least, to maximise the driving experience, they are both equipped with paddle shifters machined from solid aluminium which are integral with the steering column. The Geneva stand also proudly displays a Stelvio car equipped with the 280 HP 2.0 Turbo Petrol powerplant, paired with an 8-speed automatic transmission and Q4 all-wheel drive. The engine is a 4-cylinder unit built entirely in aluminium with carbon drive shaft. The Alfa Romeo Stelvio with 2.0 280 HP Turbo Petrol engine (peak torque of 400 Nm at 2,250 rpm) is best in class in terms of acceleration, powering from 0 to 100 km/h in just 5.7 seconds. It has a top speed of 230 km/h. The model on display proudly bears the historic Ti, "Turismo Internazionale" acronym, always awarded to the loveliest, most high-tech Alfa Romeos, and its lavish contents are sure to meet the highest expectations. The stylistic personalisation of the SUV on show is truly unique: the Misano Blue livery is combined with the new burnished rear light clusters and luxurious trims, with widespread use of carbon. Both the "V" of the front cloverleaf and the mirror cars are in this material. There is a shift towards shades of black as well as other content such as the powerful 20" alloy wheels combined with the yellow sports brake callipers, the exterior window frames and tailpipes in gloss black, and the dark "Stelvio" and" Q4" badges and privacy glazing. The Alfa Romeo Giulia Veloce Ti, equipped with 280 HP turbo petrol powerplant combined with 8-speed automatic transmission and Q4 all-wheel drive, is a fine embodiment of the technical and automotive excellence of the Giulia range. The Giulia Ti, presented in Misano Blue livery, is the most exclusive version in the range, successfully combining the Giulia Veloce's sporty flavour with an alluring style, a rich standard outfit and the very latest technology, a near sister to the Quadrifoglio, with which it shares several stylistic features. The black roof, the leather-clad dashboard with carbon inserts and the leather and Alcantara seats with black stitching all immediately catch the eye, as well as many carbon details styled by Mopar, such as the backlit kick plates with Alfa Romeo logo, the "V" of the front cloverleaf, the gear knob insert and the mirror caps. The side skirts with carbon insert and the rear spoiler are quintessential Quadrifoglio elements. The 19" burnished alloy 5-spoke wheels with yellow brake callipers are another real racing style feature. The sporty personality of this model is reasserted by the extreme care for details and extensive use of carbon fibre. The configuration is completed by the AlfaTM Connect 3D NAV infotainment system with 8.8" screen, Apple CarPlayTM and Android AutoTM and DAB, adaptive cruise control, tinted windows and the Harman Kardon premium audio package. The stand is also adorned by the new Giulietta Super, previewing the Visconti Green paintwork with interior featuring Chocolate leather upholstery, door panels and dashboard insert. It is intended for those seeking the utmost distinction and supremely exclusive finishes: satin-finish "V" grille and headlight bezels, with chrome mirror caps, handles, rear bumper finish, while the window frames and Giulietta badge are chrome plated. The interior puts the emphasis clearly on comfort, expressed through the connectivity of the 6.5" UConnect Radio-Nav system, the rear armrest, the rain and twilight sensors, the electro-chrome interior rearview mirror, the electric door mirrors, and the front and rear parking sensors. The trim is completed by the sunroof and the new 18" light alloy wheels with five double-spoke pattern and burnished diamond finish. Under the bonnet, the Euro 6D-temp 120 HP 1.6 Multijet engine, with Alfa TCT automatic transmission. Thanks to the Alfa DNA driving mode selector, the driver can adjust the car's dynamic handling, by modifying the engine torque, the brakes (via the Pre-Fill device), the TCT transmission shifting logics, the accelerator response, the ESC control system, the Alfa Q2 electronic self-locking differential and the ASR traction control. The driver can activate three modes, depending on road conditions and his own driving style. 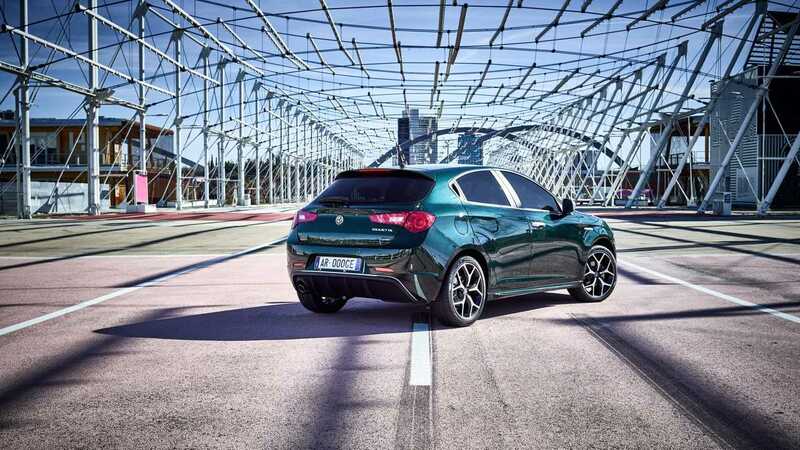 New Giulietta Veloce, sportiness raised to its highest power, now has an even more aggressive look and technical content for superlative, uncompromising handling. Key external features include the new sports bumpers and yellow oversize Brembo braking system, and the micalised glossy black finish of the mirror caps, handles, front grille, fog light bezel, and oversize twin tailpipes. The external finishing touches are completed by the side skirts, the tinted windows and the new gloss back 18" light alloy wheels with 5 double spokes. On the inside, the sports vocation of the new Giulietta Veloce is reasserted by new Alcantara and fabric seats with contrasting yellow stitching and head restraints with Alfa Romeo logo, aluminium pedals and kick plate, matte anthracite mouldings, and the contoured sports steering wheel with yellow stitching, also featured on the transmission knob and hand brake. 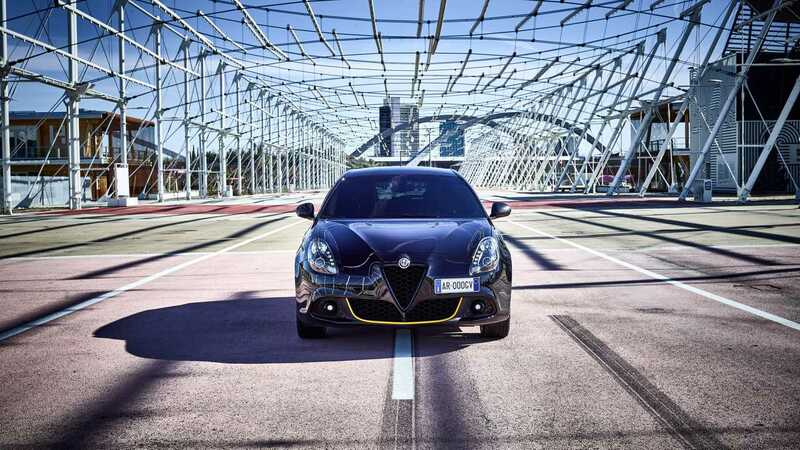 Giulietta Veloce is powered by the new 6D-temp 170 HP 2.0 JTDM engine, with six-speed Alfa TCT automatic transmission. The up and down positions of the accurate and ergonomic gear stick are controlled manually by the driver. Shift paddles on the steering wheel can be used as an alternative. To conclude, the Tech Pack offers the Alfa Connect 7" radio by Alpine infotainment system, which is Apple CarPlayTM and Android AutoTM ready, rearview camera and parking sensors, USB-HDMI input and Mopar®Connect. With Apple CarPlayTM and Android AutoTM, new Giulietta Veloce guarantees total, user-friendly, safe access to smartphone functions, directly on the car's own display. A special area of the Alfa Romeo stand will be dedicated to a selection of merchandise made with partners of excellence created to reassert the key values of the brand beyond the cars themselves. First is the limited-edition chronograph created by Eberhard & Co. to enjoy the "Quadrifoglio" experience second after second. Distinguished like Alfa Romeo by constant technical research and attention to detail, the time-honoured Swiss watchmaker interpreted the legendary emblem which characterises the fastest Alfa Romeo cars, making it an integral part of the sophisticated watch mechanism. What better way to honour the sporty attitude of Giulia and Stelvio than to sum up the tradition of two classic brands characterised by tradition and performance in a valuable object of everyday use. Alfa Romeo fans enjoy driving in all conditions. As a result of the collaboration with Compagnia Ducale, they can also do so on the new Alfa Romeo Dolomiti e-MTB, a bicycle with combines ease of use with remarkable versatility. It brings together the agility of the most advanced mountain bikes with the auxiliary boost of an electric motor for long and exciting rides, even off-road. The 500Wh battery is fully concealed inside the frame and guarantees great autonomy. Like a tender for a yacht, it is the perfect complement for every Alfa Romeo. Light, practical, fast and eco-friendly, it is ready for exciting leisure activities. Finally, the new Alfa Romeo Racing collection, dedicated to Formula 1, is being introduced.